Today is World Food Day, and buildOn is proud to answer the call of Pope Francis and the Director General of the UN’s Food and Agriculture Organization to invest in rural development and food security. As we’ve built schools with rural communities throughout the developing world, we’ve seen firsthand the importance of proper nutrition on growing minds and the profound effects sustainable agriculture can have in promoting learning and community development. The village of Vigando, Malawi, is a prime example. buildOn constructed two classroom blocks with the community in 2012 and 2013 and launched an Adult Literacy Program soon after. As part of this program, the adult learners grew a hectare of soybeans with plans to use their newly acquired literacy and numeracy skills to sell their crop and add their earnings to the village’s savings. But when the Adult Literacy students learned that food insecurity was keeping many local children from school, they decided to donate their 1.2 metric ton harvest to the school in order to launch a feeding program for students. This was the start of an incredibly valuable program, as Malawi has long struggled with food shortages and malnutrition. Above: A look inside one of the classrooms at the buildOn school in Vigando, Malawi. A 2015 study about the cost of hunger in Malawi shows that in order for the country to achieve sustainable growth, more attention needs to be given to child nutrition. Not only does malnutrition cost Malawi an estimated $597 million every year, but malnourished children who are suffering from stunting are more likely to drop out of school. As of 2015, almost half of the children in Malawi—approximately 1.4 million—were considered stunted. This is to say nothing about how hunger affects children’s ability to learn inside the classroom, and how children from families facing food insecurity often miss significant amounts of school in order to farm or work, causing them to fall behind or drop out. A 2015 study about the cost of hunger in Malawi shows that in order for the country to achieve sustainable growth, more attention needs to be given to child nutrition. Although members of Vigando’s Adult Literacy Program saw that their feeding program could help promote education in their community, they knew that their harvest of soybeans was not going to be enough to last the school year for Vigando’s 825 students. Members of the Adult Literacy Program decided to present the problem to Vigando’s village leaders, as they didn’t want any children in the community to have to drop out of school because of food insecurity and, as a result, encounter the hardships of illiteracy that many of them had gone through in their own lives. 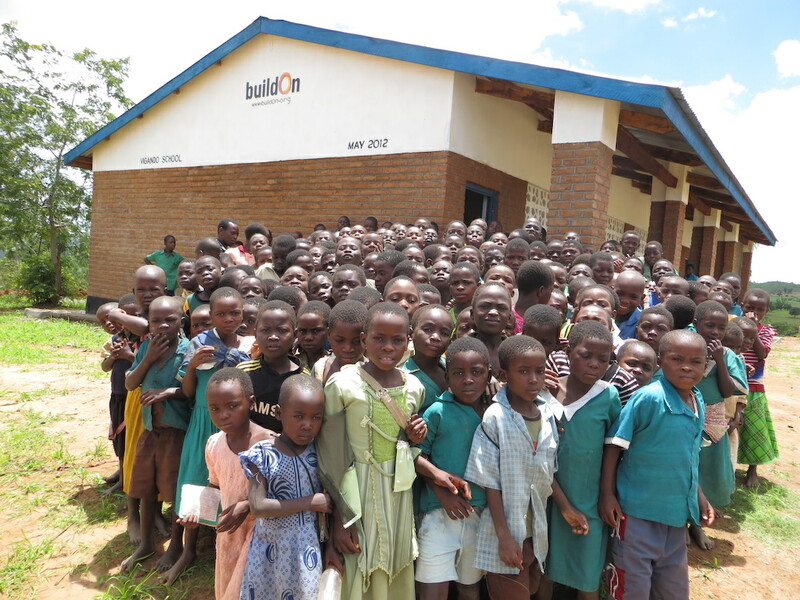 Above: Young students from Vigando stand in front of one of two buildOn classroom blocks in their village. The community leaders in Vigando were delighted to hear about the feeding program that the Adult Literacy students had initiated and agreed to contribute an additional three metric tons of soybeans and five metric tons of maize to the program. The Ministry of Education in Malawi was also impressed with the community’s effort to launch the feeding program, and pledged to train the Vigando community in flour storage and porridge preparation in order to enhance the nutrition of the feeding program. As a result, more children will enroll in school—and stay in school—this year in Vigando. As a result, more children will enroll in school—and stay in school—this year in Vigando. Vigando, Malawi, is just one example of how rural communities are using their education to overcome challenges in their own villages. But feeding programs aren’t the only way that communities are using their harvests for education. In the Malawian village of Lipenga, a group of parents who had helped construct their community’s school formed a committee to find innovative and sustainable ways to keep children enrolled. The committee found that students were missing school because of a lack of school supplies, a story similar to students in Latyr, Senegal, which we shared recently. 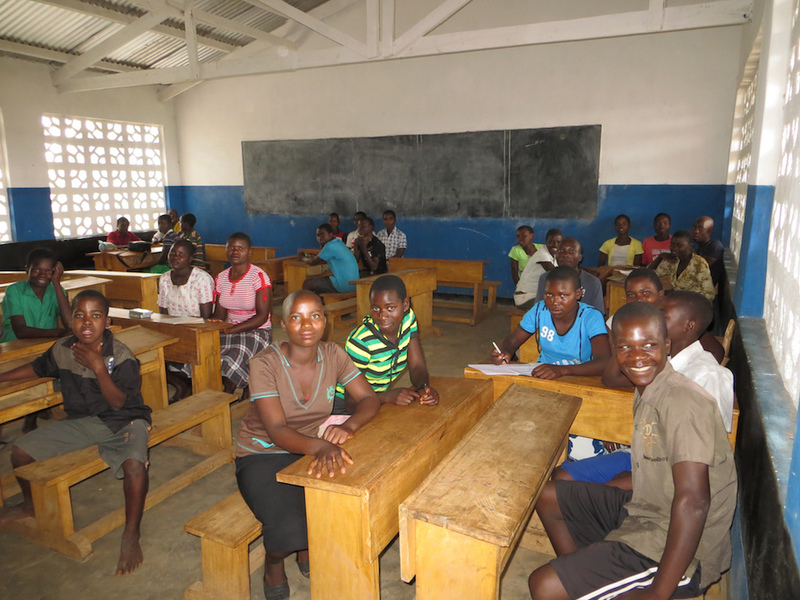 The Lipenga committee then organized to plant and harvest sweet potatoes, and when their first harvest brought in $220, they used that money to buy school supplies for the young students. This is the power of education and community empowerment—by identifying the issues that keep children from school in the own villages, the communities of Vigando and Lipenga were able band together and overcome their respective challenges and ensure that their children were coming to class with hungry minds, not hungry bellies. 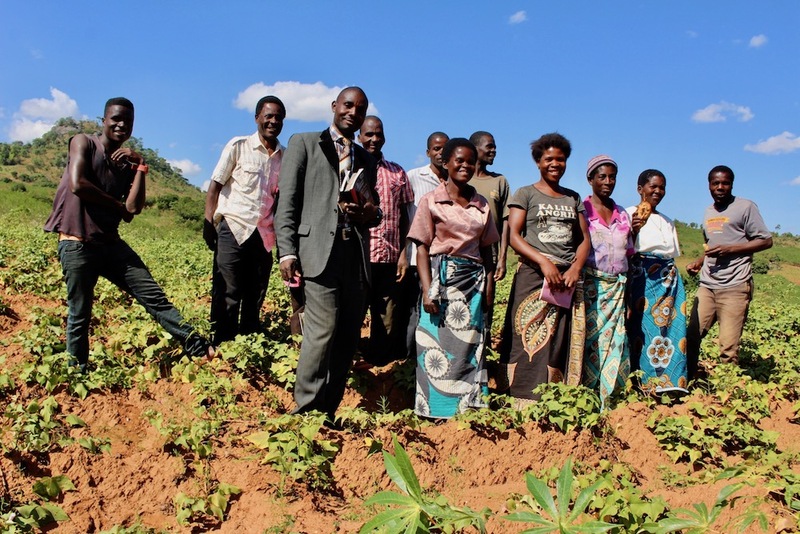 Below: The Lipenga committee stands in the sweet potato field they planted to sustainably keep children in school.